When Floyd Mayweather Jr. settles into his seat this weekend to watch Manny Pacquiao and Brandon Rios fight, Amir Khan will be the furthest thing from his mind. 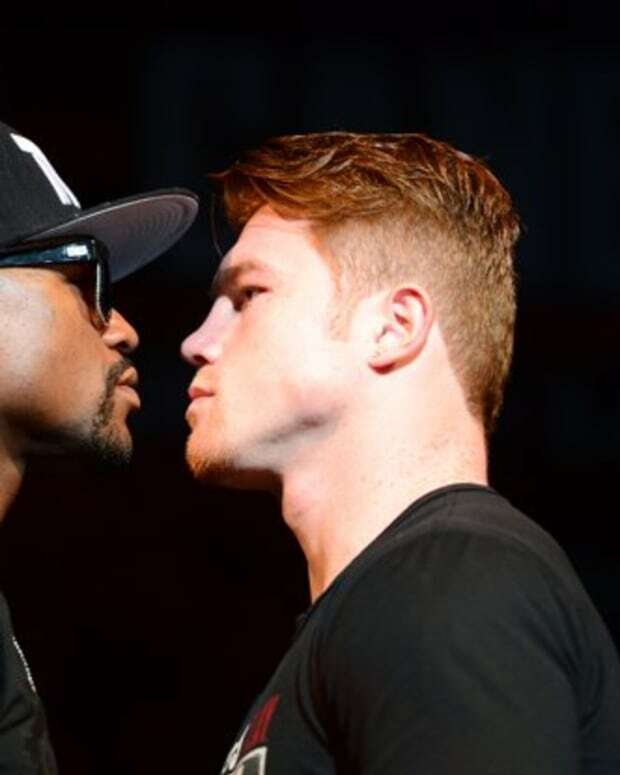 A month ago all anyone could talk about was Mayweather and Khan squaring off. The match-up made very little sense, given the directions both men’s careers had gone in over the past few years, but various media outlets insisted that they would fight in early 2014. There is a reason why you haven’t heard anything about it recently, though: It’s not a good fight. Mayweather, 36, is coming off arguably his most impressive victory since he returned from that post-Ricky Hatton sabbatical in 2009. Everyone hyped Saul ‘Canelo’ Alavarez to be his biggest and most challenging foe to date, and Mayweather promptly beat the stuffing out of him en route to an easy victory. Khan, 26, was once upon a time the heir apparent. Two years ago, when he was coming off victories over Paulie Malignaggi, Paul McCloskey and Zab Judah, a bout between him and Mayweather seemed inevitable. Then Lamont Peterson derailed that train, and Danny Garcia sent it flying off a cliff. Khan is currently riding a two-fight winning streak, but having wins over Carlos Molina and Julio Diaz don’t exactly speak to how you’ll look against the best pound-for-pounder on the planet. The reason why Khan was brought up as a possible challenger for Mayweather is because Mayweather needs a big name opponent. He learned from the Robert Guerrero fight that fans won’t pay for PPVs just because he’s on them. He needs a legitimate adversary. From a name-brand perspective, Khan sort of fits the bill. That’s why Mayweather will be watching this weekend’s showdown between Pacquiao and Rios very closely. 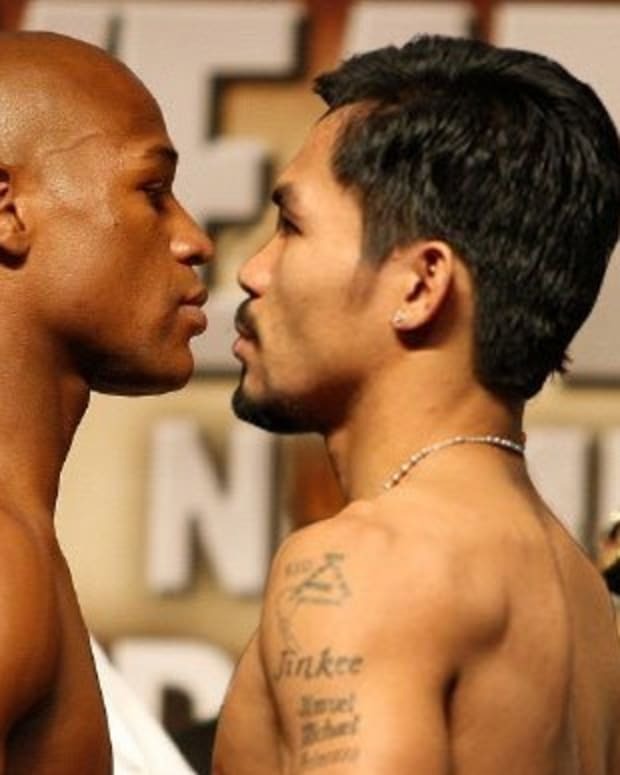 As much as he dislikes Pacquiao and Bob Arum, Mayweather is smart. 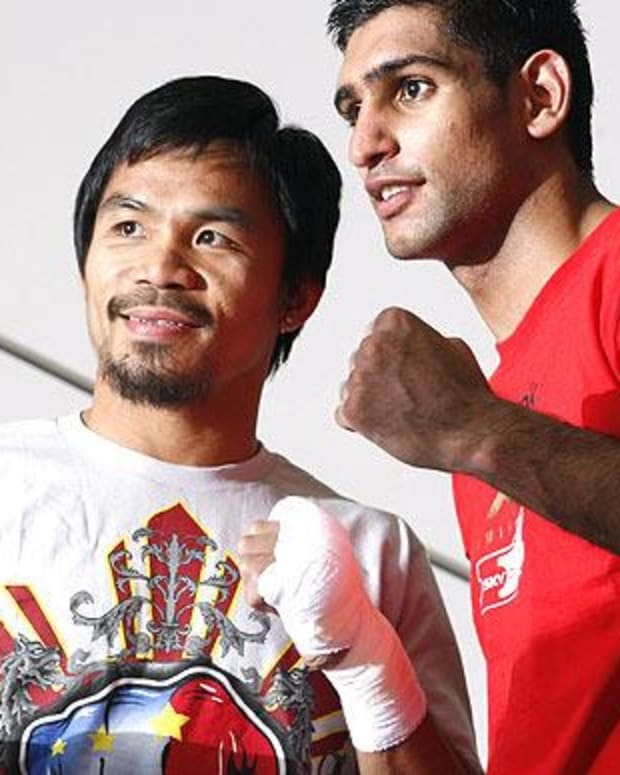 And he knows that a fight against Khan would do a fraction of the buys that one against Pacquiao would. 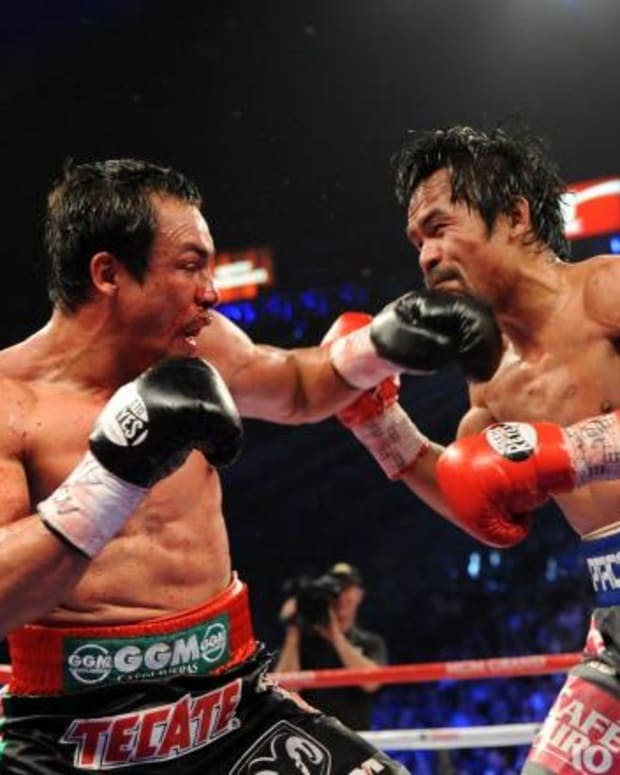 If Pacquiao prevails on Saturday night, things could get very interesting.